The answer to the rainy day question is that we utilize every covered area on campus and transfer to a special schedule. 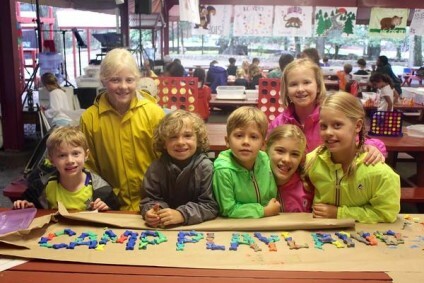 Rainy days can be a lot of fun for campers and counselors because of the change in routine! For me, it is always exciting to brainstorm new rainy day activities. We love to go to camp conferences, and there are often workshops about creating magic on rainy days. Think of being a child on a rainy summer day – rain boots, art projects, puddle jumping, umbrellas, fort building, movies, watching the rain drops. We try to bring these special feelings to the camp day.